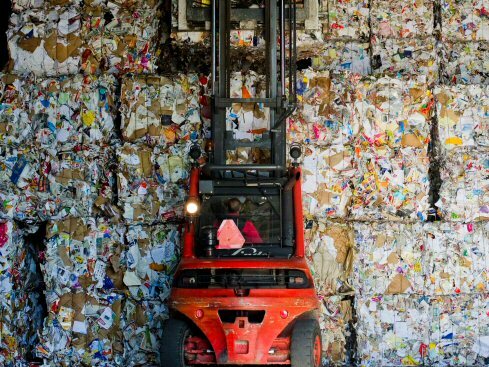 At Recycling Express, we provide fair and prompt payment for your paper waste. If you are looking for paper buyers in the mid-west, we are at your service. Recycling Express provides free, lockable security containers for the collection of confidential materials. 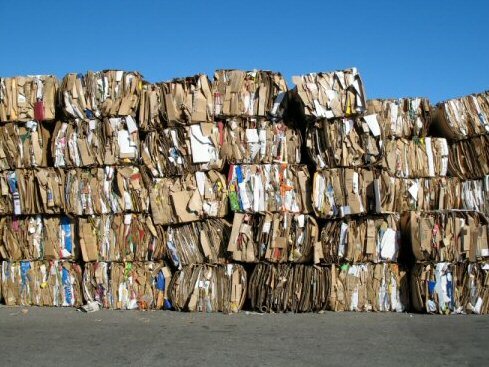 All material can be shredded On-Site if necessary. 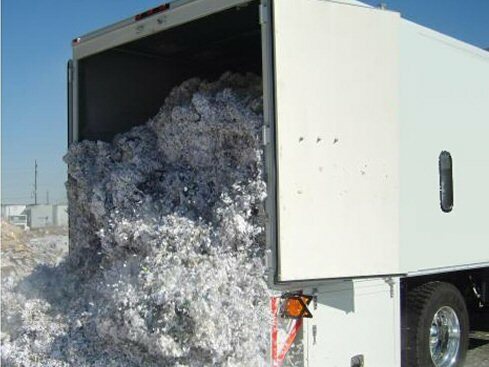 Shredding is done inside our truck with an automated system. We offer crate services to a wide range of businesses. Our sturdy hunter green plastic crates vary in style and size, and can be tailored to virtually any work area situation. We also offer a large wooden crate which is similar to the plastic crate in that it is easily maneuvered in the area placed. We also offer a 95-Gallon, 2-wheel plastic recycling can with an attached lid. This container is primarily placed in an office area or where space limited. Our gay-lord and skid combination is another container option. This is a large corrugated unit set up on a skid.